Lake Oswego — Uptown Beer Co. 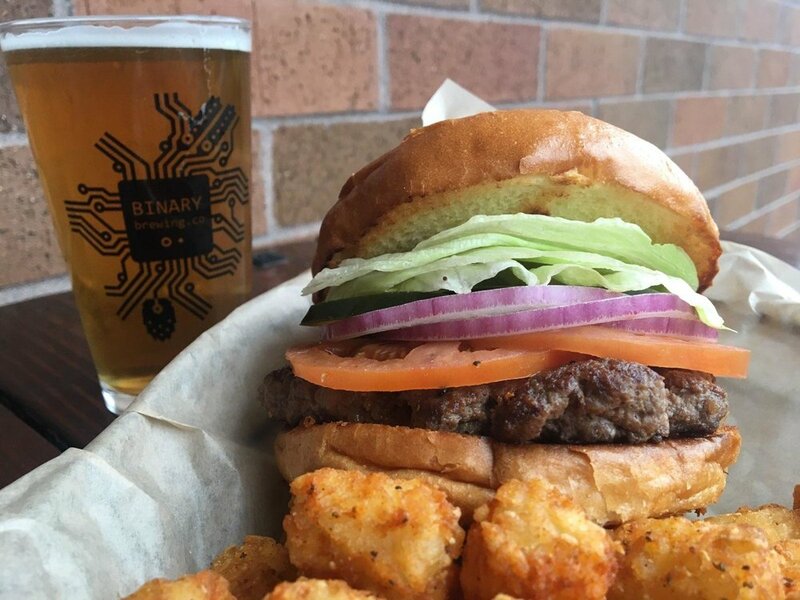 Featuring 40 taps of local and fine craft beverages our Lake Oswego location also houses a sctach kitchen making great Northwest Fare. Check out our live taplist and food menu bellow! Currated by our resident beer nerds we'll always have something tasty for you to try! With over 30 taps might as well grab a pint while you look around. Keep an eye on our blog to see our new beers. Keep an eye on our blog for special events and other fun goings on at Uptown Lake Oswego. Sign up for our weekly newsletter the Brew News! The art of serving craft beer. 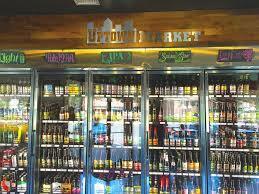 The selection of craft beer and ciders at Uptown Market Lake Oswego is designed to excite the seasoned beer enthusiast while not overwhelming the casual beer drinker. Our Cicerone© Certified Beer Servers are knowledgeable and dedicated to the art of serving craft beer. At Uptown Market, we are happy to help you track down a favorite beer of your own or suggest a new brew that perhaps you haven’t tried! Our 36 taps generally feature 6 Uptown Brewing creations, with the remaining taps dedicated to the finest craft beer, cider, kombucha and root beer the industry offers. Taco Tuesdays each week, but every day is Fish Taco Day! 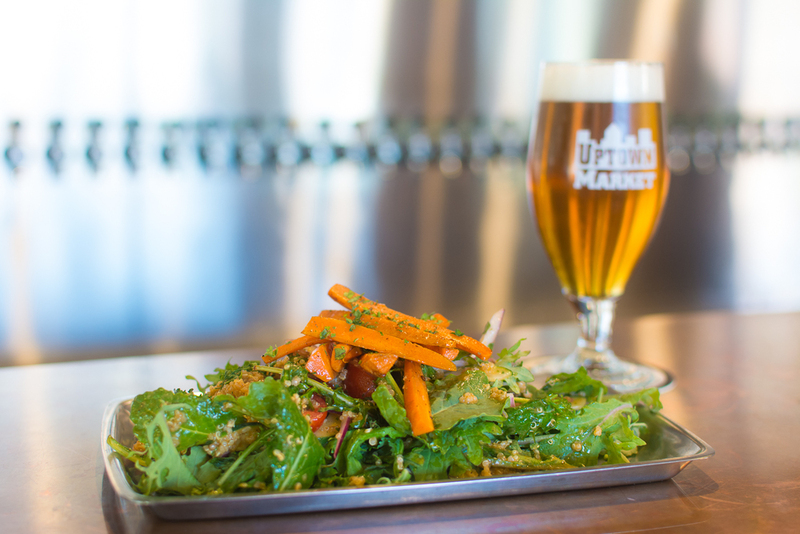 Our menu was designed to offer the best of both worlds by including satisfying Brew Pub fair and deliciously fresh and healthy options. Additionally our chef hand selects locally sourced seasonal vegetables weekly for the specials on our menu. Binary Beer battered cod fillets with fries and tartar sauce. mixed greens, black beans, corn, cilantro, tortilla strips, cherry tomato avocado, seasoned chicken and ranch dressing. mixed greens, apples, blue cheese, candied walnuts and house cider vinaigrette dressing. romaine, shaved parmesan, caesar dressing* all wrapped up in a flour tortilla. Grilled blackened cod, house mad coleslaw, tomato and tartar on a pub bun. Check out our weekly guest brewery tastings, special events and specials! 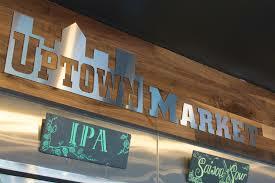 Uptown Market opened it's second location in June 2015, proudly serving Lake Oswego a huge selection of craft beer and cider. Sticking with our bottle shop roots, Lake Oswego has a premier selection of specialty and hard-to-find beers and 36 taps! In addition, the Lake Oswego location offers a full food menu! Our refined brew pub atmosphere is a great space for business or company lunches, happy hour with friends or date night and the covered and heated out-door patio allows for outdoor dining year round!